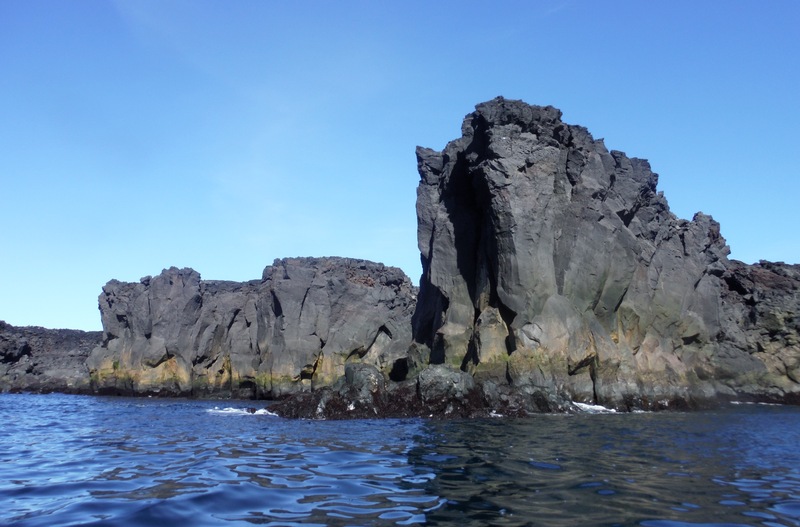 On Tuesday evening we landed in a small fishing harbour of Arnarstapi under the magnificent volcano The Sneafell. The one, from Jules Verne’s tale. 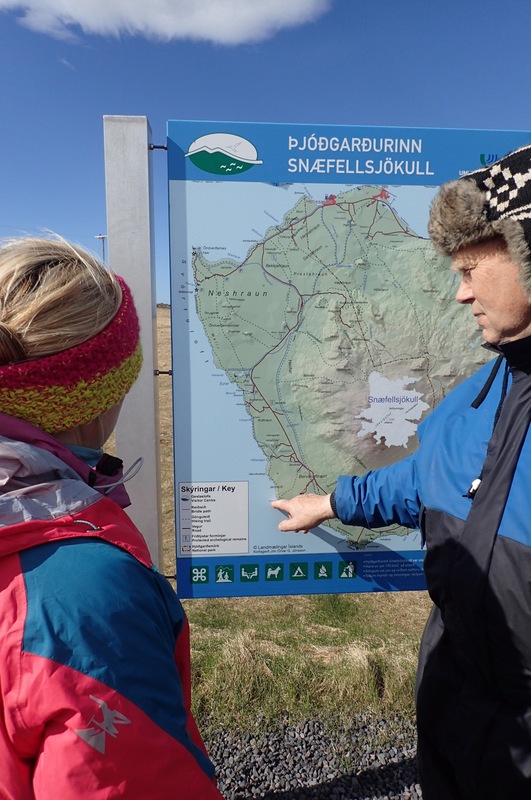 Similarly to professor Lidenbrock, we also had a good local guide, Thor. 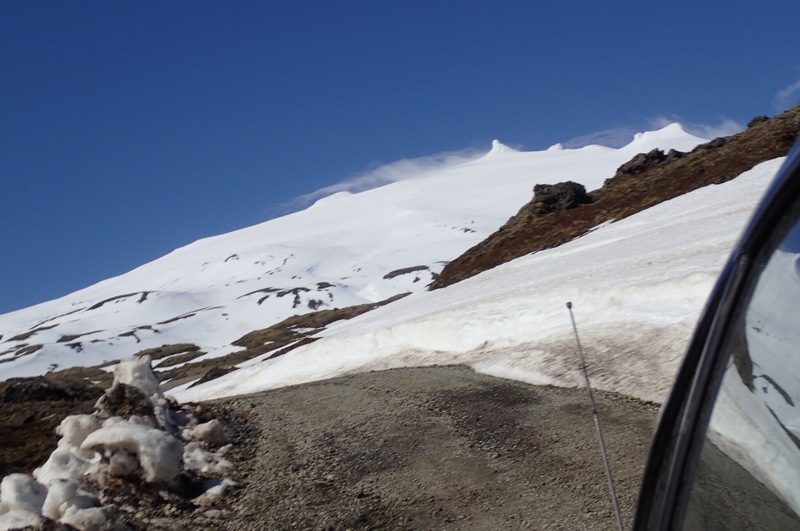 Together we attempted to climb to the top of the volcano, but our efforts were hindered by the snow on the road, which the car just would not go through. Never mind, we thought, if we can’t go into it, we will go around it. The journey took two days and has taken us through rather extraordinary places. We visited a place where Gudrid Thorbjarnardóttir was born in 980. She was one of the Icelandic most travelled women until twentieth century, having been in America, Greenland, and as far as Rome. 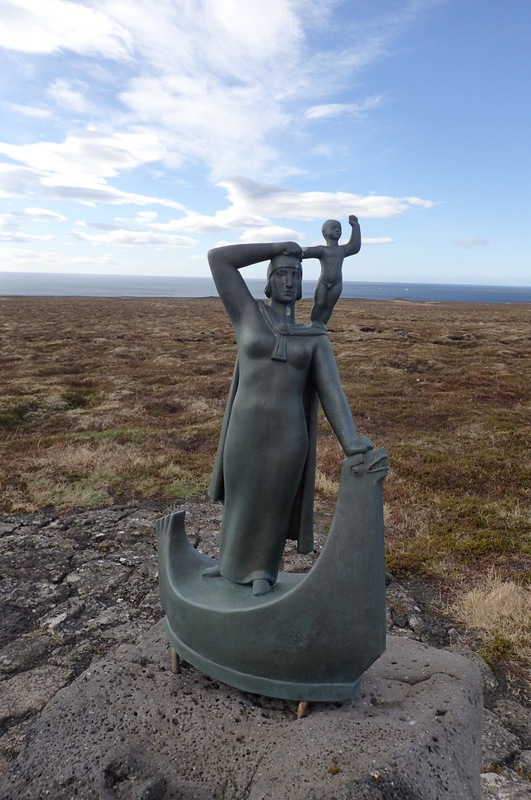 In America she gave birth to Snorri, a first European born on American soil. He was the one, who inspired the good professor to undertake his journey. We continued on our journey and came to a beach, Djubalon, which was covered, similar to the tale, in many bones like structures. 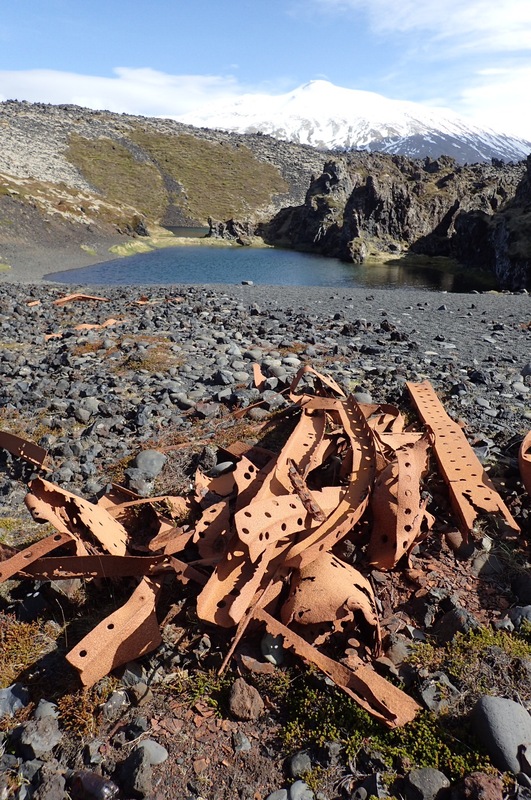 Only these were not human bones but remains of a ship, which grounded here some years ago. After that we decided it was also time to take to the sea. No, we did not have to build a raft as our kayaks were ready. But the journey was extraordinary. 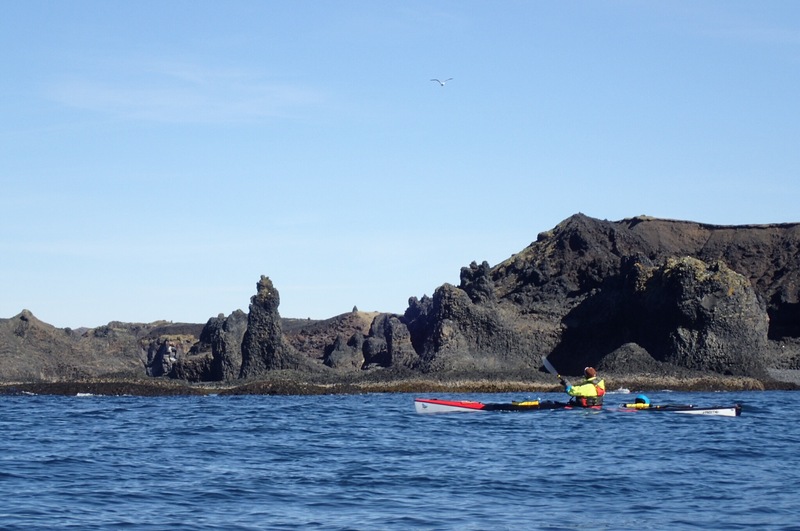 The rocky coastline was covered in many structures and statues made of basalt, some resembling the petrified trees or giant mushrooms the old professor saw. 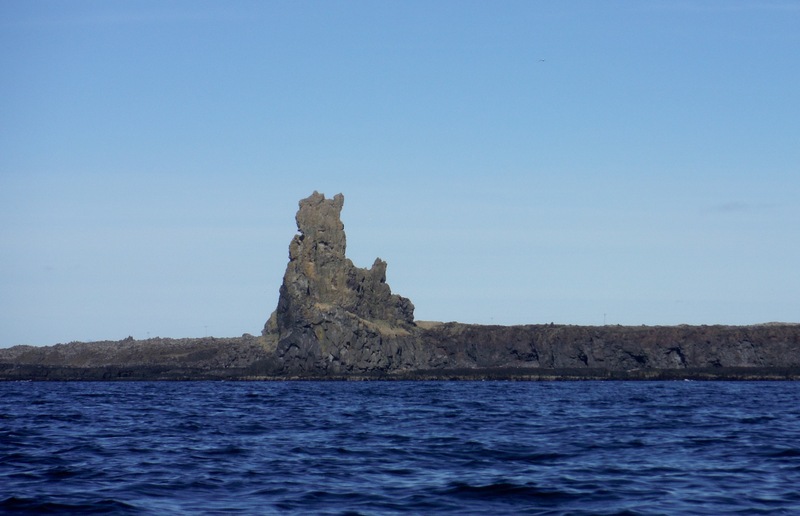 While on the water we saw several creatures, maybe not prehistoric, but a giant chicken, definitely. As we continued we saw some mastodonts. 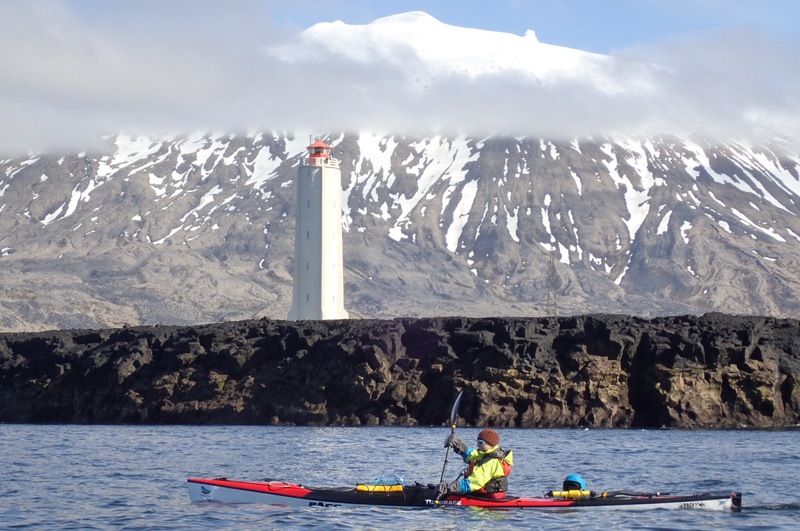 Later we paddled past some very strange building built for what must have been extremely tall people. Then we only had one task to accomplish, and how lucky we were. 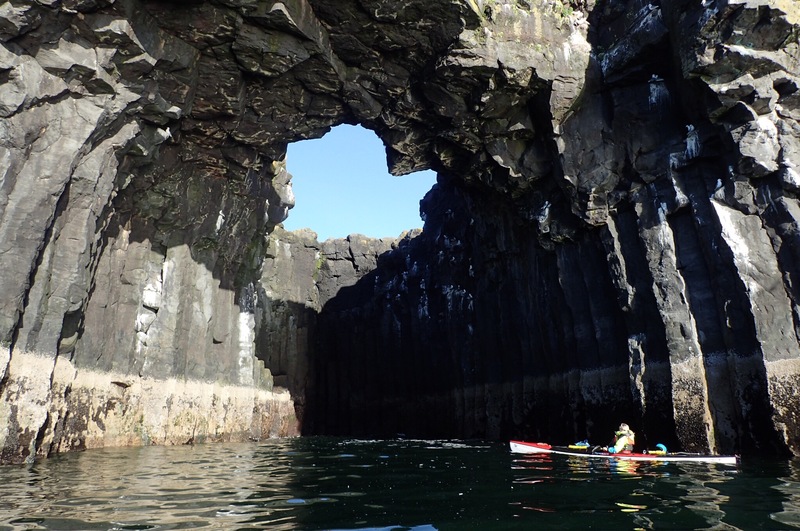 The race at the headland picked us up and carried us, just as the lava river did to professor and his party, until it spat us out in civilisation of old harbour of Krossavik.